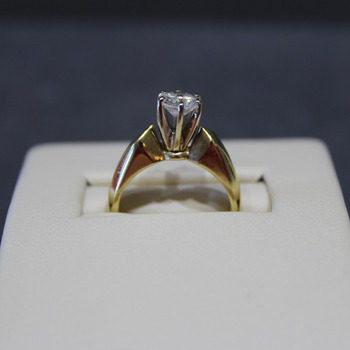 The original diamond engagement ring was 14K yellow gold solitaire. 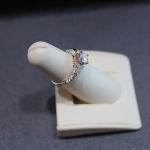 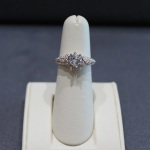 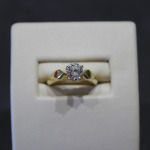 The diamond was set into a new 14K white gold with 14K rose gold accent. 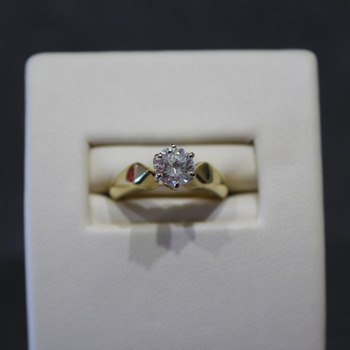 This beautiful engagement ring is the perfect anniversary gift, reflecting the many years of love.